From the authors of the New York Times bestselling novels It Devours! 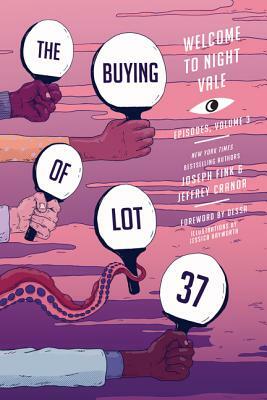 and Welcome to Night Vale and the creators of the #1 international podcast of the same name, comes a collection of episodes from Season Three of their hit podcast, featuring an introduction by the authors, a foreword by Dessa, behind-the-scenes commentary, and original illustrations. In June of 2012, the creators of Welcome to Night Vale began airing twice-monthly podcasts, hoping to be heard by anyone outside their close circles. They never had any idea just how much the podcast would take off, and by the anniversary show a year later, the fanbase had wildly exploded, vaulting the podcast into the #1 spot on iTunes. Since then, its popularity has grown by epic proportions, hitting more than 100 million downloads, and Night Vale has expanded to a successful live multi-cast international touring stage show and two New York Times bestselling novels (Welcome to Night Vale and It Devours! ), and a new podcast network Night Vale Presents. Now the second two seasons are available as books, offering a valuable reference guide to past episodes. The Buying of Lot 37 brings Season Three of the podcast to book form. With foreword by recording artist and author Dessa, introductions by Joseph Fink and Jeffrey Cranor, insightful behind-the-scenes commentary by cast members and supporters, and beautiful illustrations by series artist Jessica Hayworth accompanying each episode, this book is both an entertaining reading experience and an absolute must-have for any fan of the podcast.